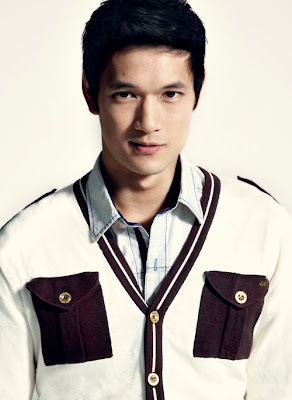 The first thing “Glee” actor Harry Shum Jr. wants audiences to know is that unlike his character, Mike Chang, he indeed can carry a tune. Joining him on the tour is the entire cast: Lea Michele (Rachel), Cory Monteith (Finn), Amber Riley (Mercedes), Chris Colfer (Kurt), Kevin McHale (Artie), Jenna Ushkowitz (Tina), Mark Salling (Puck), Dianna Agron (Quinn), Naya Rivera (Santana), Heather Morris (Brittany) Chord Overstreet (Sam) and Darren Criss (Blaine). Before being cast on “Glee,” Shum’s r sum was littered with dancing credits, including films “Stomp the Yard” and “You Got Served,” as well as an iPod commercial. That’s right, it was his silhouette swinging away to the Black Eyed Peas’ “Hey Mama.” While dancing was initially his way into show business, Shum knew acting provided longevity. Fast forward to today, and he’s on one of the most popular shows on television, garnering heavy ratings across all demographics. Apparently, the music-heavy program offers something for everyone. Epitomizing the spirit of “Glee” for Shum is this past season’s “Born This Way” episode, which found all of the New Directions members wearing white T-shirts noting their limitations or faults. Apparently, the story line struck a deep chord with viewers. Shum said the cast has been blown away by this mini-phenomenon that finds thousands of audience members sporting their own T-shirts, thus owning their own insecurities, at “Glee Live! In Concert!” tour stops. Invariably, the glue to “Glee” stems from the show’s ability to touch upon all aspects of cliquey high-school life. This includes story lines based on bullying, homosexuality, self-image issues, special- education students and more. Whatever interest or disinterest viewers of “Glee” have regarding the show’s story lines, no one is disputing the fact “Glee Live! In Concert!” is a sing-along jam with fans of rock (Journey’s “Don’t Stop Believin’” and The Beatles’ “I Want to Hold Your Hand”), hip-hop (Jay-Z’s “Empire State of Mind”), Broadway (Barbra Streisand’s “Don’t Rain on My Parade”), pop (Katy Perry’s “Firework” and “Teenage Dream”) and more.